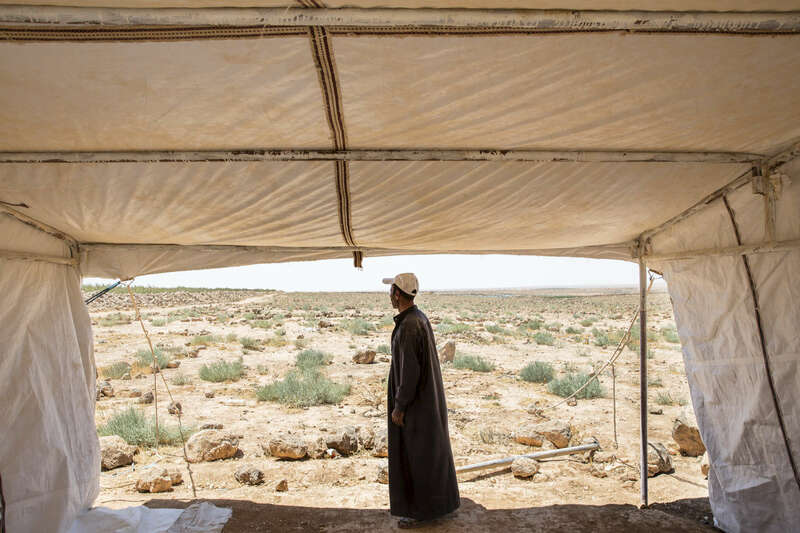 Ahmed looks across the desert towards the nearby Syrian border. He left his hometown of Hama, Syria in 2011, and has stayed in various informal settlements in northern Jordan. When he can find work as a day laborer, he earns approximately 5 Dinars, or $7, per day.